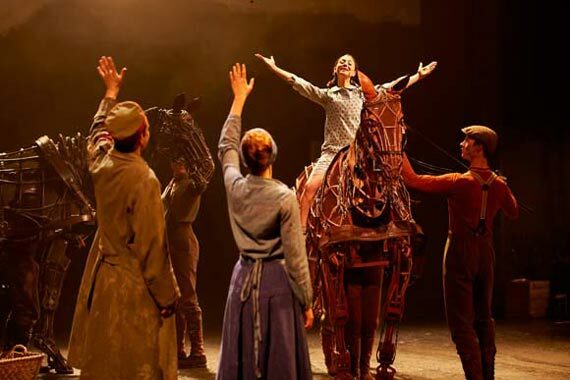 Telling the story of the unbreakable bond between a young man and his beloved horse, War Horse has become one of the West End's most popular shows. 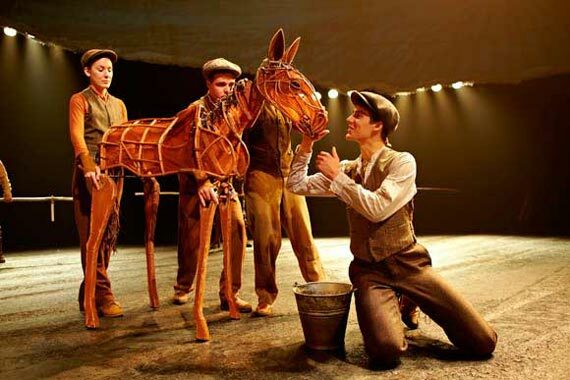 Set during the First World War the play follows the lives of farmer's son, Albert and his horse, Joey, as they grow up and apart only to be reunited in what can only be described as a twist of fate. Harrowing war scenes and the character's heart-wrenching misfortunes will have viewers on the edge of their seats throughout the performance, making War Horse an unforgettable show. 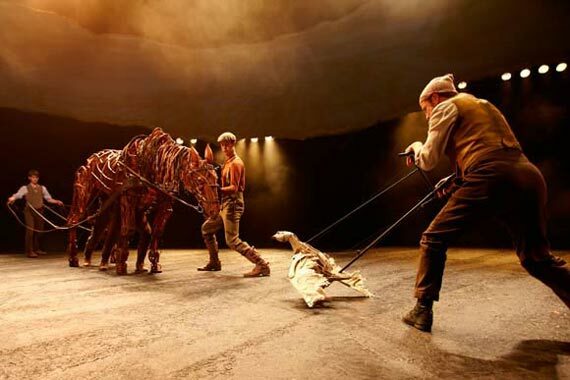 Based on the 1982 bestselling novel by Michael Morpurgo and adapted by Nick Stafford for the stage, the undisputed stars of the show are the life size animatronic horses created by South Africa's Handspring Puppet Company who bring the characters of Joey and Topthorn to life. Directed by Marianne Elliott and Tom Morris and with music by Adrian Sutton and songs by John Tams, Warhorse is a spectacular combination of theatrical innovation and good old fashioned story telling, taking the audience on a journey from the tranquil Devon countryside through the horrors and atrocities of war and back again. With over 2 million people having seen the production in London and over 4 million worldwide this harrowing yet heart-warming story has captured the imagination of the world and set new standards for what is possible during a live performance. So large is its appeal that in 2011 a film version was directed by Steven Spielberg and starred the cream of British acting talent including Emily Watson, Tom Hiddleston and Benedict Cumberbatch. PLEASE NOTE: due to the nature of the story and its representation of the First World War the show is recommended for children over the age of 10. After running from the 17th of October 2007 to the 14th of February 2008 in the Olivier Theatre at the National Theatre on London's South Bank the show returned for a second run between the 10th of September 2008 and the 18th of March 2009. The show transferred to the New London Theatre in the West End for preview performances on the 28th of March 2009 and opened to the public on the 3rd of April. The show has gone on to be staged around the world with performances on Broadway as well as Canada, Australia, Germany and the Netherlands as well as a special performance as part of the world famous Proms at the Royal Albert Hall. 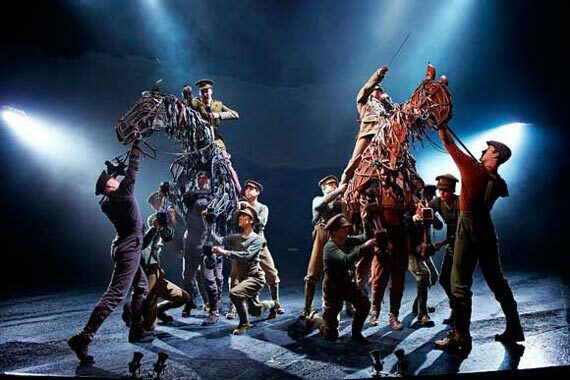 Why book a theatre break to see War Horse? Taking its inspiration from the beloved children's book War Horse is a tale of friendship and loyalty that spans one of the darkest periods in recent history, and shows the enormous bravery of all those involved both human and animal. By booking a theatre break guests are ensured of getting the best price on the tickets and hotel accommodation, allowing them to enjoy the full spectacle of the show. Winner of numerous awards including Whatsonstage Best West End Show, 5 Tonys including "Best Play" and "Best Sound Design" as well as Laurence Olivier Awards for "Best Set Design" and "Best Theatre Choreographer". The show has 23 puppets including 2 swallows, 2 crows and a goose. The puppets used take 8 months to create and are made by 14 craftsmen and women. 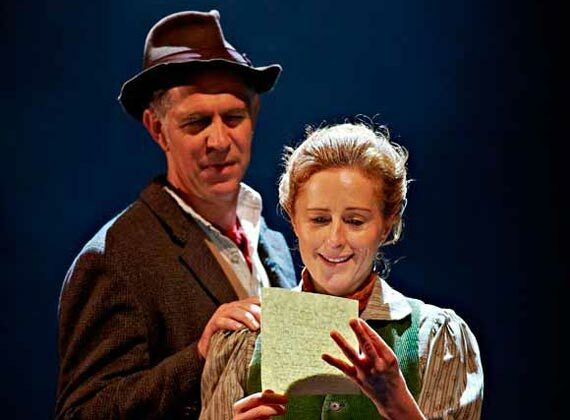 War Horse has been seen by many famous people including the Queen, Helen Mirren, Madonna and George Lucas. The original part of Albert was played by Kit Harrington who went on to find fame in the HBO series Game of Thrones. "Warhorse was a superb experience - a stunning production in an intimate theatre." "Great show. Wanted to see it for years. Was not disappointed. Hurry as closes March 12th." "War Horse on stage was fantastic. The actors and puppeteers did a marvellous job of bringing the horrors of WW1 to the stage. A very emotional experience." "What an amazing moving show. Fantastic"
"Absolutely amazing show-had me in tears as was such an emotional show. Would go back tomorrow to see it all over again.Fantastic special effects, simply stunning horses - just amazing!" "Would go and see again"
"Stunning puppetry....like watching the film." War Horse Rating:	96%	out of	100	based on	685	reviews.